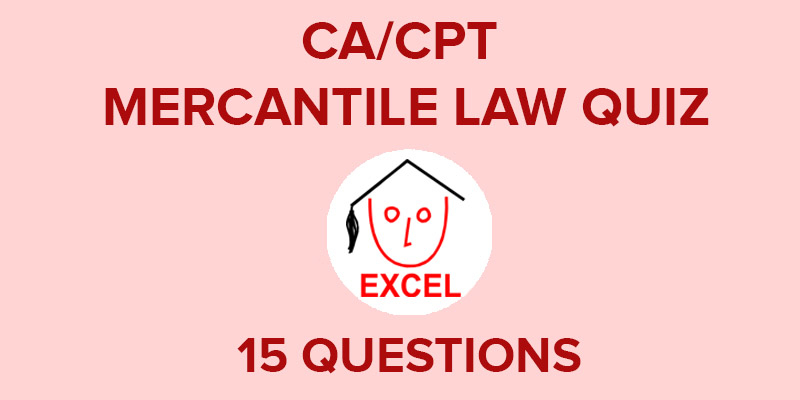 This CPT Mercantile Law quiz contains the topics of The Indian Contract Act 1872, The Sale of Goods Act 1930 and The Indian Partnership Act 1932. With the help of this quiz you will get idea about the type of questions asked in the CPT exams. UnivExcellence Univexcellence.com, an Online Education Portal provides various services in English and Hindi. Try this quiz with 15 questions on Mercantile Law. Best of luck!